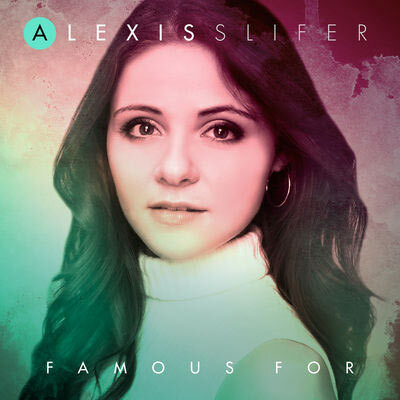 Nashville, TN – Former Rubyz member and iShine actress Alexis Slifer has just released her sophomore, six-song solo-project, FAMOUS FOR. The album, produced by Chuck Butler, explores themes central to the young artist’s faith: God is real, He works miracles, and He longs to be close to his children. Shortly after recording the album, Alexis was blindsided by the news of her parents impending divorce. During this time, her own album became nearly prophetic, pointing the young artist to find healing through worship. “I realized that I was pulling away from the presence of God and worship. I felt like that was a place where I was supposed to have everything figured out, but I was so broken. What I have found since then, is we are healed in His presence. Our Heavenly Father wants to meet us where we are – and when we take our hardships to God in the presence of worship, God can heal issues that we never believed could be restored." FAMOUS FOR is released through BEMA Media and is available now on Amazon, iTunes and in retail outlets everywhere.